Ita��s 7 am on a Tuesday morning and Mr Nice and Laila are being led to Marina beach from their humble stable behind Vivekananda House. They will soon be subject to a bit of petting and a lot of questions from a group of youngsters who cana��t wait to get on their backs and hold the reins. The trained Marwaris that they are, this is nothing new to them. 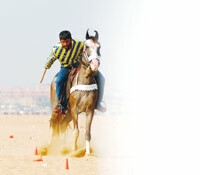 Along with their master Shariq Joshy, they have successfully taught 40 students the art of horse riding. a�?They are part of a group of 12 horses and two ponies,a�? says Joshy, who bought his horses in 2000, soon after he finished his equestrian training in Bangalore and Yercaud. Horses were always a passion for him, and he did not agree that the sport was limited to the elite. a�?I think horse riding should be accessible to everyone,a�? he says, explaining why Saddle and Stirrups, an outfit started by him in 2011, does not demand a deposit or membership fees. a�?Horse riding is a lifetime sport. No one can claim that they know everything. A short term course can only give you a taste of it,a�? 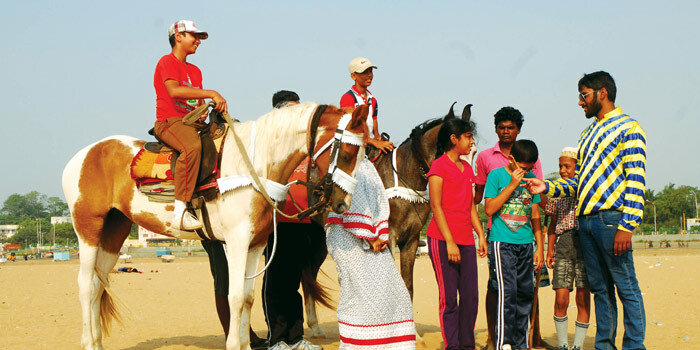 Anita Ojha, a trainer at Madras Riding School, points out.But if you are looking for a quick summer lesson, Joshya��s classes, that are usually only on weekends, are now right through the week, making the course more accessible to school children on holiday. a�?In the first 15 sessions, we teach the basics, and the next 15 are advanced classes,a�? he says, elaborating that you start with learning about the horse (from what it eats to reading the animala��s body language) and move on to walking and saddling it, before you are ready to climb on.